The Daily Sports newspaper reported on Friday that voice actor Kinryuu Arimoto passed away due to esophageal cancer on February 1. He was 77. Arimoto was born in Tottori prefecture on February 11, 1941, and he attended Waseda University. 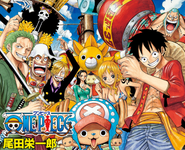 Sankaku ComplexOne Piece Creator "It's OK To Lewd My Characters!" © DMM GAMES / Visualworks With a game project slated for release in the winter 2019 season, DMM previously revealed that an anime adaptation of the Namu Amida Bu! -Rendai Utena- project will land sometime in 2019. Publisher Electronic Arts and developer BioWare have released the launch trailer for Anthem. Here is an overview of the game, via its Origin page: About On a world left unfinished by the gods, a shadowy faction threatens all of humankind. By Jenni . February 8, 2019 . 11:00am People who want to add a little retro feel to Capcom's Resident Evil 2 remake have a new mod to turn to on PCs. Crazy Potato has released a Resident Evil 2 Classic UI update. All good things must come to a close and the Majestic Prince has now been slated for its own closure. The manga series comes from Rando Ayamine and Hikaru Arashima which began in 2011 and has fifteen volumes out so far. Jojo's Bizarre Adventure: Golden Wind Episode 18: Head to Venice! Giorno makes quick work of Babyface, Golden Experience's abilities outsmarting this thing. Giorno putting the motorcycle in Babyface reminded me of when Formaggio put the car in that one guy. Except this time it was less horrifying and disgusting. This is a Katsu News archive page. It shows how the site appeared at February 10, 2019, 10:00 AM JST.